How does wearable tech make you think that you are standing on Mars when you are actually lying on your couch? With virtual reality, you can hike the Grand Canyon, experience a movie, tour the Louvre or immerse yourself in a video game without leaving your seat. Wouldn’t be a bewildering experience? VR is a relatively new world of three dimensional experience generating technology that is taking over the world of gaming and entertainment. VR is a computer-generated environment that lets the user experience a different reality from their own. In simple terms, it is an inducement of a 3D surrounding that appears to be real on the physical front. The appearance of objects facilitated by the use of electronic attachments such as a headset, which has a display inside and gloves attached with sensors. In simpler terms, VR is an artificial environment created with computer software and hardware and presented to the user in a unique way that it appears to be like a real environment. The synthetic technology used is combined with 3D video, audio, and other sensory components with the aim of achieving a sense of immersion in a highly interactive, computer-generated environment. Essentially, VR systems consist of computer and software (known as reality engine), input and output sensors. Input sensors include objects such as mouse, keyboard, knobs, and joystick. Output systems include the headset along with any objects providing physical feedback to ensure the experience is as realistic as possible. In addition to input and output systems, they come with head-and-ear mounted equipment together with gloves for controlling the virtual world. The user then directs and reacts to the chosen environment. If you want to experience virtual reality in a simple, fun and affordable way, I suppose Google Cardboard is the way to go. Google Cardboard is awesome virtual reality platform that was developed in Paris at Google Cultural Institute. It first came to the world at Google I/O 2014. The easiest and cheapest way to try VR experience is to use Google cardboard. It is a piece of foldable cardboard embedded with some cheap lenses. You stick the phone inside the cardboard and press it up your face to experience another world. 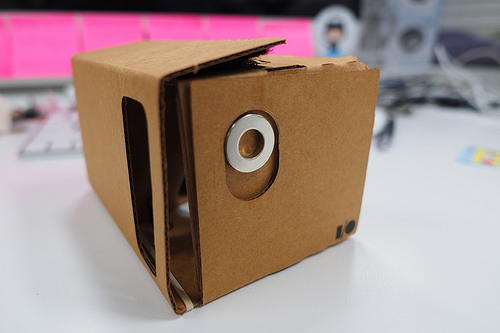 The Google Cardboard works by placing your phone at an optimal distance away from the lense. With the use of compatible apps, the lense creates a 3D effect when held close to the eyes. With Samsung Gear VR, you can watch the best of Hollywood movies, play amazing games, socialize with friends and be at the center of a suspense thriller. Concerning compatibility, Gear VR works well with phones such as Galaxy Note5, Galaxy S6, S6 edge, S6 edge+ and Galaxy 7 phones. 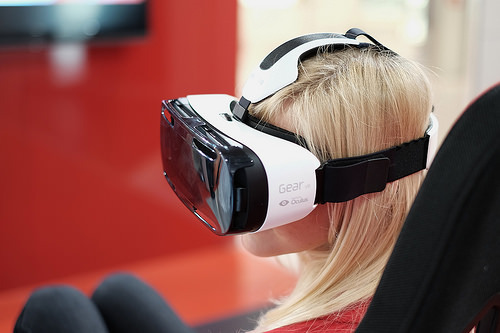 The Samsung Gear VR brings viewers incredible 360-degree virtual adventure. 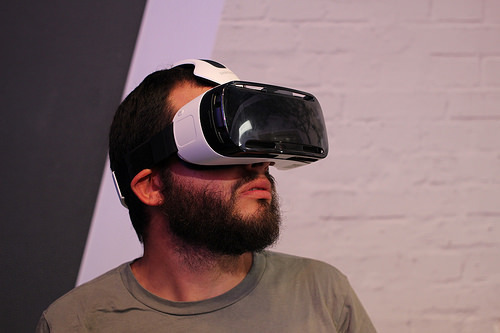 Gear VR has more sophisticated sensors than Google cardboard and is highly comfortable to wear. It also boasts an extensive library of purpose-built apps and games for users to enjoy. Oculus Rift combines an advanced display technology, constellation tracking systems, and low-latency that enable sensation of experience. Using the Rift, you only need to pull a helmet over your head and instantly get thrown inside a thrilling virtual world. Oculus Rift is an amazingly fantastic headset that includes a whole bunch of exciting hardware designed to immerse the user in an entirely new world of three dimensions. You can fight, fly, race or game using the Rift. Every aspect of this headset is designed to be easy and comfortable to use. 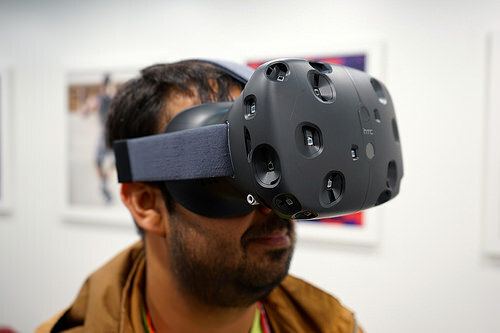 HTC Vive was created as a partnership between HTC and Valve. Vive delivers in the world of technology and VR with best-in-class technology and content. HTC Vive lets the user reach out and grab objects in a virtual reality world. Probably the best and most amazing thing you can do with HTC Vive is the gaming. Vive is built from the ground up for room-scale VR, allowing the user to move around objects in a virtual space. What makes Vive such comfortable to wear are the amazing adjustable headsets multiple eye relief adjustments. Virtual reality happens to be the next big thing in gaming. Sony has joined the world of virtual reality gaming with the Sony PlayStation VR. 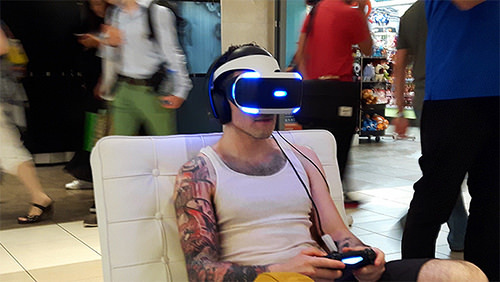 PlayStation VR is immersive, comfortable and if combined with PSD Pro, it delivers an incredible experience. PlayStation VR is an affordable option when you compare it to the Oculus Rift and HTC Vive. The good news is that PlayStation VR works on the PlayStation 4, a gaming console you may already have. Like most headsets in the market, the PlayStation VR headset is wired and need to be plugged into a PlayStation 4 console to be used. 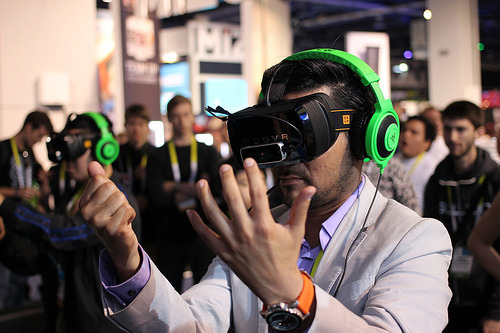 Apart from gaming, VR has many other areas of application. Virtual Reality technology holds the potential to change the future of many fields including business, architecture, medicine and manufacturing, among others. Doctors use VR to impact distraction therapy to help patients handle pain while they undergo physical treatment. Medical professionals and psychologists are using VR to facilitate traditional treatment methods and look for effective treatments for PTSD conditions such as anxiety and social disorder. VR provides dental and medical students with a safe environment for practicing surgeries and complex procedures and allows students to make mistakes without impacting the harm on an actual human patient. With VR, businesses can now reduce costs, conduct interviews, lessen business travel, forecast trends, give tours and hold meetings virtually. Businesses can now employ VR for safe testing of dangerous products. Virtual reality is not just all about gaming. VR is widely used in other application areas such as entertainment, artistry and design, education and simulation, tourism and exploration, psychology and medication, real estate, shopping among other sectors.